It may not seem like it at this time of year, but spring will soon be here and the snow will soon be gone. That’s often when people ramp up the search for their new home. Are you ready for that? 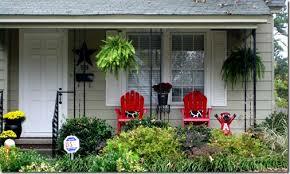 Will your front porch look a little worse-for-wear? Will the garden be in need of a good cleaning up? Make sure you’re ready to join the market early on and that prospective buyers notice and remember your property with some easy enhancements to your curb appeal. 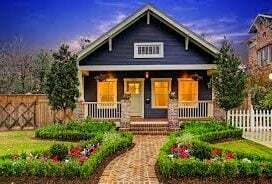 The good news is that there are many ways you can add curb appeal to your property without having to spend too much money. 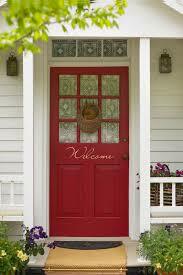 One of the easiest areas to spruce up on the exterior of your home is the front door. If you have the extra money, you could consider replacing the door but in most cases all you need to do is paint it. For less than $50 you should be able to freshen up a front door, shutters and trim and breathe new life into your entry. Choose a bright, bold colour that will catch some attention but also complements the colour scheme of your home. Make sure to prep all surfaces properly, you want to ensure things look better when you’re done, not worse. What does your garden look like? A bit of money spent on landscaping and gardening can have a huge impact on how well your property is remembered by potential buyers. Give some thought to the locations in your yard where a splash of colour would have the most impact. 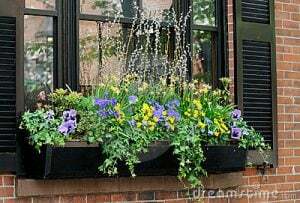 Fill your garden, some window boxes or even just some terra cotta pots, with blooming flowers. Consider planting a tree or two to create a shady spot for the future homeowners to sit under. (If you do opt to plant a tree or two, think about its potential size and how that could impact your house.) Maintenance then becomes the important element. Water and feed your plants regularly to keep them in bloom for as long as possible and keep the grass trimmed and tidy. 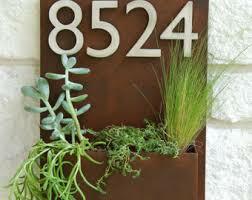 That way your green thumb will keep your property looking great! 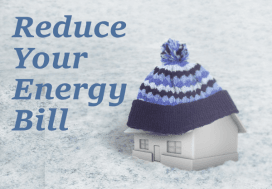 Upgrading or replacing your exterior lights is another fairly simple and inexpensive trick that can have a big impact on your home’s appearance. Choose a style that matches the architecture of the building and its surroundings, that is sure to illuminate your entryway…and if it has the same mounting system as your current lights, you’ll save yourself a lot of time and hassle. Stores like Canadian Tire and Home Depot often have exterior lights for sale at very reasonable prices. I swapped mine out last year for less than $50! Sprucing your property up doesn’t have to mean a large-scale overhaul. Often small things like these have a big impact on their own and combining a few of them can amplify the effect. It’s worth investing a little time, effort and a little bit of money in your home’s appearance…after all, it could make all the difference, because first impressions really do matter.